I hope you’ve been enjoying the month of August just as much as I have. Did you know August happens to be National Peach Month? 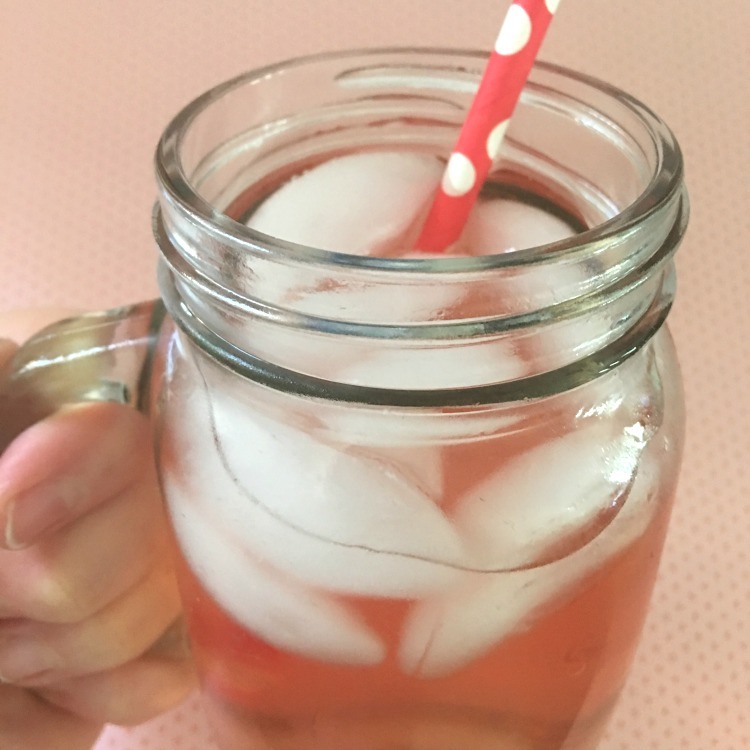 If the past few weeks haven’t been as peachy as you thought they’d be, check out this super easy Sparkling Peach Iced Super Tea recipe. It’s the perfect way to close out the month! Before I get to the actual recipe, you’re probably wondering what makes tea a “super” tea. 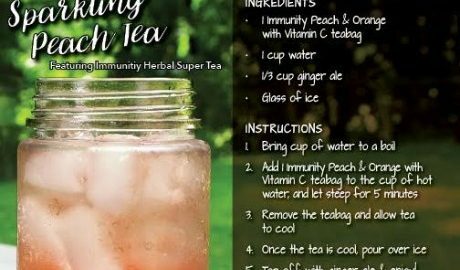 A main ingredient in this recipe is one of Tetley’s vitamin-infused Super Teas, Immunity Peach & Orange Super Tea. It’s packed with 20% of the recommended daily intake of vitamin C, which helps to support the immune system. It’s a “super” tea! And with cooler weather starting to roll through, I know I need all the immune system support I can get. Even better that I can get that extra support in a delicious beverage! Okay, so on to this delicious recipe! Bring cup of water to a boil . 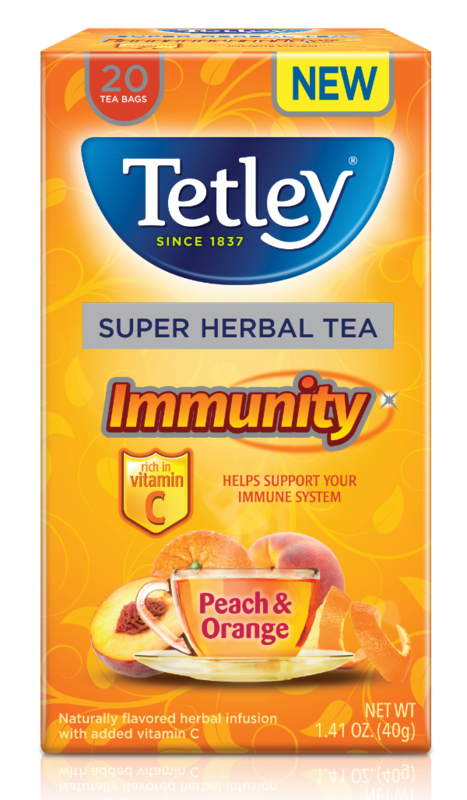 In a cup, pour the boiled water over 1 Tetley Immunity Peach & Orange Super Tea teabag, and let it steep for 5 minutes. Remove the teabag and allow the tea to cool. Once the tea is cool, pour it into the glass of ice. Top it off with ginger ale and enjoy! 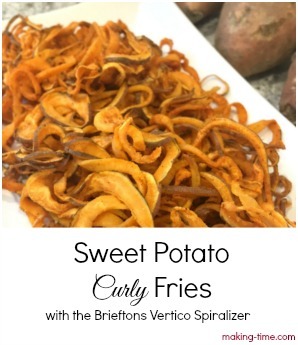 Click on the recipe card to see a how-to video! The recipe was voted as this year’s Super Summer Sipper by fans of Tetley’s Facebook page, and I can see why. I love the taste! 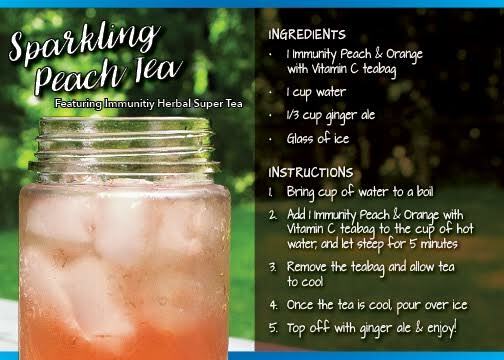 It combines the sweetness of peaches with the bubbly fizz of ginger ale, and the extra immunity boost is a great perk. 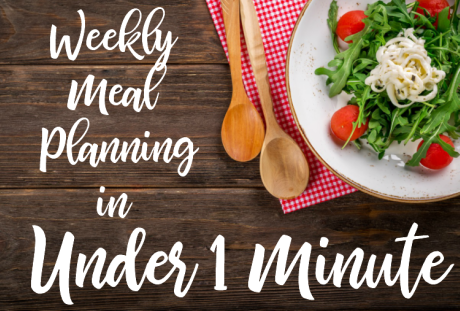 To help you get started on this super easy and delicious recipe, print this $1.00 off coupon for Tetley Super Teas! What peachy good recipes have you tried lately? Mmmmm this sounds delicious! It’s been a long time since I’ve enjoyed an iced tea, this sounds perfect! This sounds really good & would be great on a hot summer day.